The sugar industry depends on the continuous supply of raw material, sugarcane. Industries in Pakistan use waste product of the sugar production, bagasse, to produce electricity. However, productivity and efficiency of generating electricity from bagasse varies from industry to industry. Inefficient technologies account for higher energy consumption and wastage of energy resource. For example, an average sugar mill in Pakistan consumes about 1250 MJ/ton, which is much higher compared to their Indian counterparts, which consume only about 935 MJ/ton. This translates to respectively higher emissions of greenhouse gases and also economic costs. 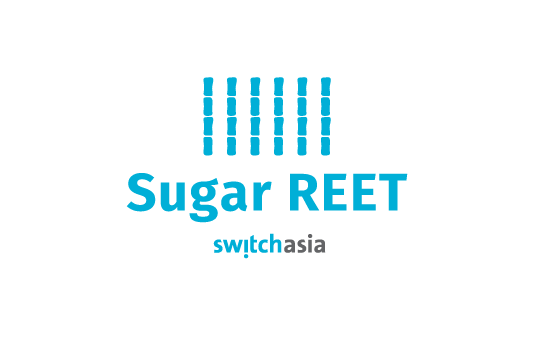 This SWITCH-Asia project has the objective to enhance the resource efficiency of the sugar sector through the adoption of Resource and Energy Efficiency (R&EE) technologies. Throughout this project, the CSCP will be training and building capacity of credit lending institutes and banks in applying sustainability risk assessment tools. This enables them to evaluate SME’s applications for credit for technology upgrades. The CSCP will support Pakistan’s State Bank in the development of policy for financing R&EE investment in the sector. The CSCP will also work as peer reviewer of business cases of SMEs applying for R&EE financing from public and private lending institutes. The project will contribute to achieving Sustainable Development Goals (SDGs), specifically SDG 1 on poverty reduction, SDG 2 on Clean Energy and SDG 12 on responsible consumption and production. SDG 1 is addressed by optimizing resource efficiency and thereby increasing the income of SMEs. SDG 2 is addressed by increasing the up-take of investments in technologies to generate electricity by burning biomass which is a clean energy source. SDG 12 determines the entire project as sustainable production is the overarching intervention. The project is part of the SWITCH-Asia Programme and will be implemented with the development consultancy Iqbal Hamid Trust (IHT) and the World Alliance for Thai Decentralized Energy (WADE THAI).